We’d all like healthy teeth that remain at their aesthetic and functional best for years to come, but for some it can be a constant challenge to retain optimal oral health. Fortunately, there are easy steps you can take to stay on track with your oral health goals for 2017. Within this latest post, we’ll take a look at six habits for healthy teeth in the long-term. It might seem like a small change, but replacing that daily soda with a drink of water can help prevent tooth erosion and minimize your risk of gum disease! You’ll save money while helping save your teeth and gums. You’ve been reminded over and over again by your parents and dentists to brush your teeth twice a day, but what about the area on which the vast majority of bacteria is found? Brushing your tongue twice a day can remove the bacteria that is a leading cause of bad breath and gingivitis. Brushing too soon after consuming sugary foods simply brushes the acids and sugars into your teeth. To minimize the damage these products cause, try to hold off on brushing for at least an hour after you eat. However, you should always rinse your mouth with water immediately after consuming acidic or sugary foods to minimize tooth damage. Brushing your teeth on a daily basis with a brush that has hard bristles can cause severe damage to your teeth and gums. It’s important to only use soft bristled brushes to minimize the damage from brushing and to prevent bleeding gums. Tooth-healthy foods include products such as apples, which can help clean away the bacteria from teeth as you consume them. Even that popular snack food popcorn can help to remove debris from the mouth and keep your teeth healthy over the coming months. One of the best ways to maintain fresh breath, remove bacteria from the mouth and minimize staining is to gargle with apple cider vinegar every morning. 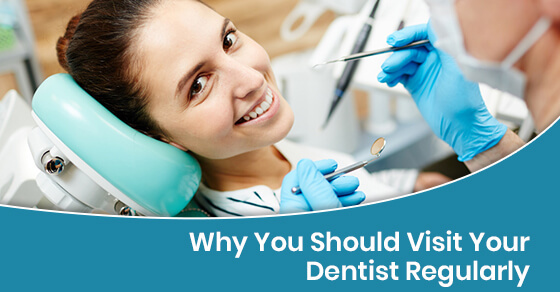 It’s a simple addition to your oral health regimen that could have a lasting positive impact! Our trusted team is always available to guide you in improving your oral health. To discuss the habits that will keep your teeth and gums healthy and in their optimal condition, call us now!